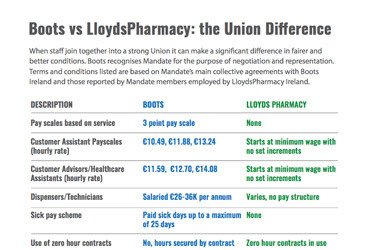 For over a year workers in LloydsPharmacy have been building the Union to bring about fairer conditions. 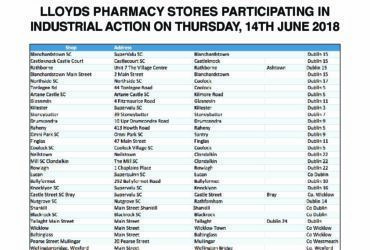 There are now members in two-thirds of all locations. 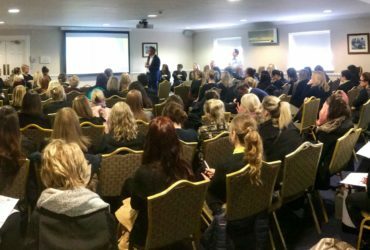 Ultimately it’s strength in numbers that give the best chance to improve conditions that colleagues want and deserve. 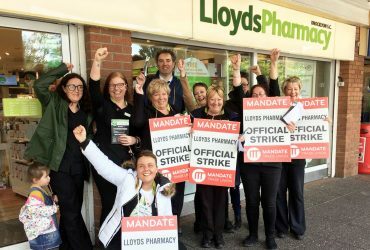 Over the past several months the Union has made attempts to engage in a constructive and good faith manner with LloydsPharmacy senior management to address the core issues. After initially ignoring requests for meetings, there were some signs that senior management were prepared to engage after they agreed to attend conciliation with the Union at the Workplace Relations Commission. However, following several lengthy delays by the Company and after having attended just one session at the Commission, they withdrew unilaterally from the process. The actions by senior management to date can only be seen as wilful delaying tactics. 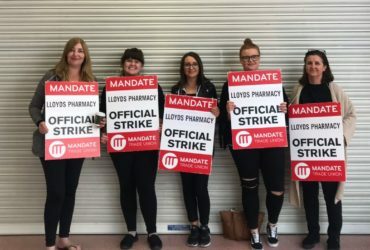 The Union has now lodged a claim to the Labour Court for consideration. The Labour Court is the main body to adjudicate on issues in disagreement between workers and employers. In the near future the Court will schedule a case hearing of the issues with the Union and the Company.